After several months with no word from the Syfy brass, they finally made a decision on the future of the superhero series Alphas. Yesterday they announced that the series which stars David Strathairn as a man leading a group of people with enhanced abilities would not continue for a third season. This doesn’t come as a major surprise as the show slipped in the ratings during its second season last Summer (though not much further than Warehouse 13) and the long delay on any announcement about the show’s fate strongly suggested that they were not going to keep it around. Personally, I’m disappointed because this was the best original series running on Syfy (not counting their Canadian imports) and it had a ton of potential. 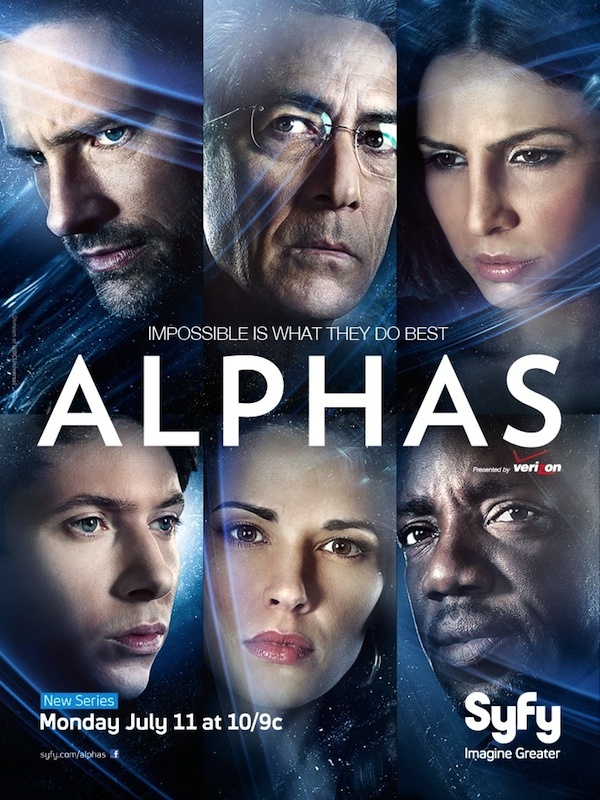 I had written previously that Alphas had turned into Heroes done right and I would have liked to have seen where they would have gone with the storyline the show had been developing about a war between Alphas and humans. The show never seemed to develop much of a strong following, though, and there was little effort by fans–that I could see–to convince the network to continue Alphas for a third season. Perhaps the cancellation announcement will energize the fanbase, and they will make an attempt now to save the series. It’s likely not as expensive to produce as say an hour drama on one of the (non-CW) broadcast networks and somebody like Netflix might be interested in the show if they think it will draw a significant number of viewers. It’s also possible that fans could approach the Canadian Showcase channel (currently producing Lost Girl and Continuum) as another potential outlet for the show. I believe it is filmed in Canada anyway, so it might make a good fit. In any case, this is another disappointing move by Syfy and will likely alienate even more genre fans from the network. I heard an argument on Reddit that Syfy’s shows are slumping in the ratings not so much because of poor quality (though that does describe several of their scripted shows) but because fans are rejecting the brand. I believe that the cancellation of Alphas will continue that trend among the sci fi fanbase. And this past Monday, the acclaimed Canadian science fiction series Continuum had its debut on Syfy, but barely registered in the ratings. According to Spoiler TV, the first episode of Season 1 only pulled a paltry 0.2 rating in the 18-49 demographic. That means that it ranked lower than repeats of Friends, Seinfeld, King of Queens, and even Spongebob. But the good news is that doesn’t mean that Syfy will be cancelling this one as well. The show has already aired its first season on Showcase up in Canada and has its second season set to bow this Spring up there. Whether or not Syfy will keep it as part of its Monday night block of scripted shows remains to be seen, but you can catch Season 1 on streaming at Amazon.com if the network ends up yanking it. I don’t know if a third season of the show might have been tied to its encore run on Syfy, but since Showcase counts it as a hit, I’m thinking not. From what I understand, Syfy did not do much to advertise the show (wouldn’t know personally because I’ve rarely watched the channel since Season 2 of Alphas ended), so that may have contributed to its poor outing in the Nielsens. Or this could be yet another indication that sci fi fans just aren’t tuning into the network anymore. 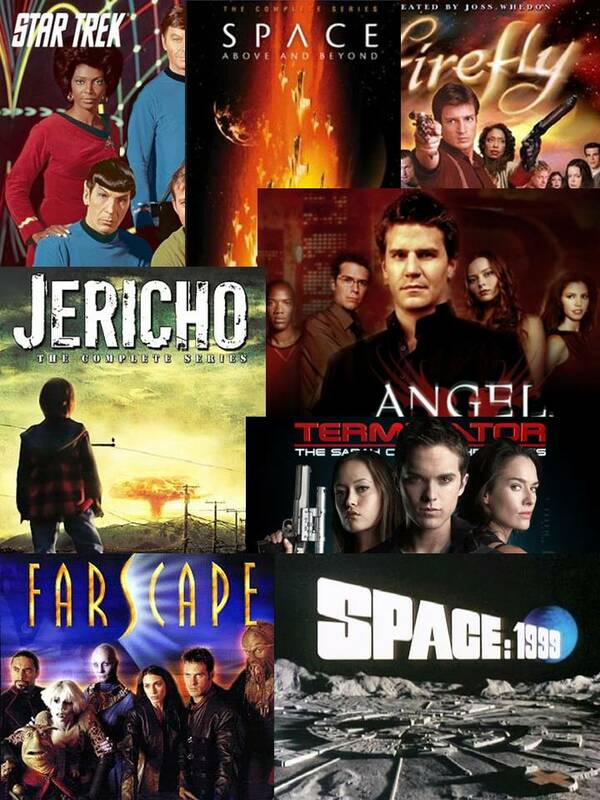 These days, genre fans can find much more of interest to them on cable channels like Science, BBC America, and Chiller, and we’d all love it if the Canadian channels Showcase and Space could make their way across the border. In any case, I highly recommend checking out Continuum (and Lost Girl is good cheesy fun as well) despite the fact that it airs on a network better known for wrestling, reality shows, and really bad creature/alien/nature-run-amok movies.